It’s helpful. Your content will help people understand your brand, learn how your product(s) address their pain points, offer solutions to problems, etc. It boosts consumer trust. Would you rather buy parts from someone who knows all about parts, or someone who doesn’t? Consumers are no different. 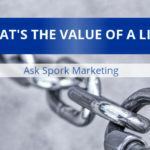 If your company explains how parts work, what makes one part better than another, how to diagnose a problem, etc., your company becomes more trusted. Greater trust leads to greater sales. Search engines love content. Unique and valuable content with a thematic focus is one of the keys to top search engine rankings. Of course, content marketing is easier said than done. Creating and promoting content on a consistent basis is hard. But mostly, content marketing requires patience. 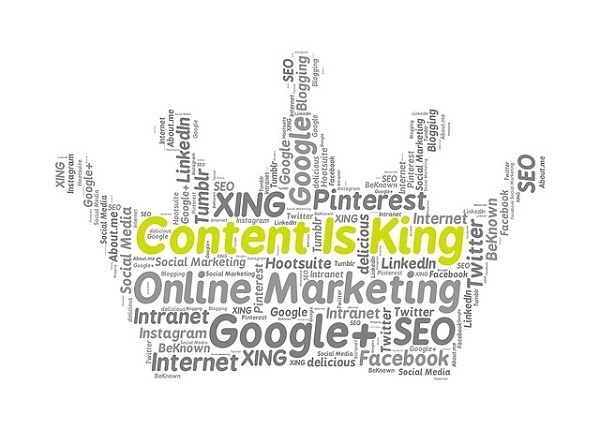 A good content strategy will not generate a positive return on investment (ROI) for several months. When it comes to evaluating the ROI of content marketing, be sure to keep the following three points in mind. The ROI of your content will vary based on quality. High-quality content is much more likely to generate links, shares, and mentions than low-quality content. Does your content get mentions and shares? Links, shares, and mentions are the goals of content marketing. 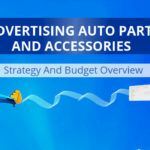 A great article that gets linked to from a popular automotive website? That’s tremendously valuable. One single high-quality link to your website can make all the difference when it comes to Google and Bing rankings. Format your content to be engaging. Use short sentences and short paragraphs. Use sub-headings and bullet points. Make sure your content is easy to ready on any device. Write about things consumers care about. 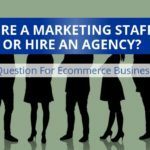 Some of the best performing content is written to answer a commonly asked question. Do more than just write. Charts, graphics, and videos are all good content. So are artistic pieces and cool photos. 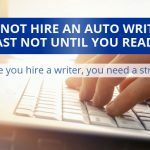 Pay a professional to create your content. Nearly everyone passed high school English – does that mean nearly everyone is qualified to write web content? To get the most from your high-quality content, you to find different avenues to share and promote it. Sharing content on Facebook and Twitter is pretty obvious. Paying to share that content (by “boosting,” for example) is a great idea. Whatever you do, don’t just write a blog post and hope “the Internet” finds it. That doesn’t work very well. Imagine a consumer reads an article on your blog. Imagine they like the blog post, and make a mental note to come back to your website when they’re ready to buy a part. 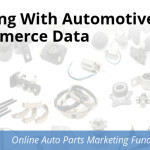 Some percentage of the traffic that reads your content will return to buy parts. Now, imagine three months go by, and the consumer who read a blog post has returned to spend $500 on your site. How do you attribute this revenue? If you use Google Analytics, the odds are good the revenue will be attributed to “direct” traffic. This is because too much time has passed to attribute the $500 in revenue back to the blog post…even though the blog post is responsible for the sale. Therefore, when you’re assessing the ROI of content, you want to look at traffic, shares, inbound links, and of course any actual revenue you can track. These metrics aren’t precise, but over time it’s easy to relate traffic growth to transaction volume. Or, putting it another way: If your blog generates 20,000 visits a month, it’s probably going to help you sell some parts. Even if just 1/10th of 1% of those visitors buy something, that’s 20 customers. 20 customers who spend $500 each is $10,000 in revenue. $10,000 in sales will pay for quite a few blog posts and infographics. We’ll close by stating flatly that content marketing has a tremendous ROI. Indeed, it is the backbone of our business. The content we create on this blog is one of the only sources of marketing leads our company has, and it’s allowed us to grow tremendously. The same goes for many of our clients – content that we’ve created on our clients’ blogs has led to tremendous growth and dominant search engine rankings. We usually see content start to show positive returns around the six-month mark, and then it takes off at the 18-month mark. If your company can commit to 12 months of content before calculating ROI, the odds are good the “beancounters” will be very happy.